The US has threatened Islamabad with sanctions over Pakistan’s partnership with Iran to construct a section of a gas pipeline. Washington said that the much-delayed $7.5-billion project violates sanctions on Iran, a claim denied by Pakistan. Iran and Pakistan expect the completed pipeline will deliver 21.5 million cubic meters (760,000 million cubic feet) of gas per day to Pakistan from its giant offshore South Pars field in the Persian Gulf by December 2014. 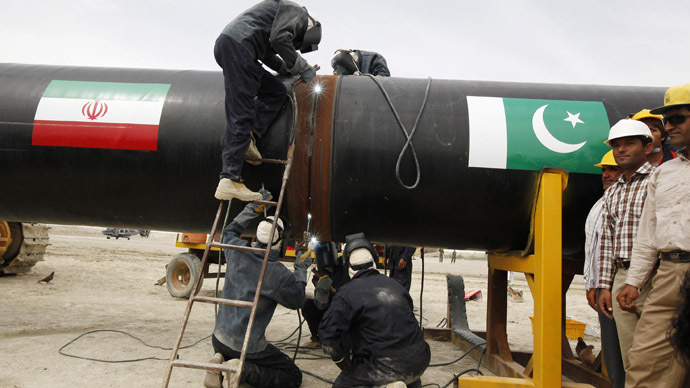 Iranian contractors will construct the pipeline, which crosses Pakistani territory. Tehran has agreed to lend Islamabad $500 million, one-third of the estimated $1.5 billion cost of the 750-kilometer pipeline, according to Fars news agency. Iran has completed 900 kilometers of the pipeline’s segment on its side of the border with Pakistan. Monday's ceremony marked the beginning of work on the Pakistani segment, which will start at the Iranian town of Chahbahar near the border. “We've heard this pipeline announced about 10 or 15 times before in the past. So we have to see what actually happens,” Nuland said. Conceived in 1990s, the project initially involved Iran, Pakistan and India. 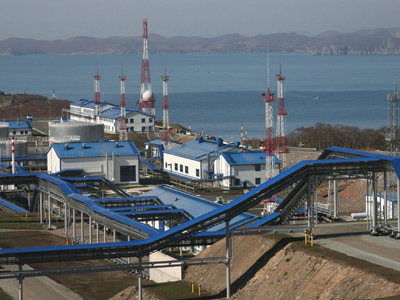 However, India pulled out of the project in 2009, citing cost and security issues. The United States has persistently opposed Pakistani and Indian involvement in the project, insisting it would violate sanctions against Iran over its controversial nuclear activity. The US is "supporting large-scale energy projects in Pakistan that will add some 900 megawatts to the power grid by the end of 2013," she added. With Pakistan currently facing energy shortages, Washington appears reluctant to keep its pledge despite its assurances. “The Americans have only given promises and signed some kind of memorandum of understanding on this issue, but nothing has been implemented on the ground,” RT’s Tariq Mahiyuddin, who is currently in Pakistan, said. Pakistan sees the pipeline as a way of easing severe energy shortages, which have sparked demonstrations and battered a weak government. At the same time, Islamabad needs the financial aid it receives from the US. In response to Washington’s threats of sanctions, President Ahmadinejad accused "foreign elements" of using Iran’s nuclear program as a pretext to thwart Iran-Pakistan relations, saying they have no grounds to oppose the pipeline project since it deals with natural gas. "With natural gas you cannot make atomic bombs. That's why they should have no excuse to oppose this pipeline," Reuters reported, quoting a translation of a televised statement by Ahmadinejad. "I want to tell those individuals that the gas pipeline has no connection whatsoever with the nuclear case." The beneficial terms Iran has offered Pakistan were the crucial point in the two countries' agreement, Reza Marashi, research director at the National Iranian American Council told RT. The following months will give a good indication of Pakistan’s intentions, Marashi believes. “But even if you find those alternative sources, few are going to be able to offer the terms that the Iranians are offering,” Marashi added. "The Pakistani government wants to show it is willing to take foreign policy decisions that defy the US,” Skinner said, according to Reuters. "The pipeline not only caters to Pakistan's energy needs, but also lodges brownie points with the many critics of the US amongst the electorate."